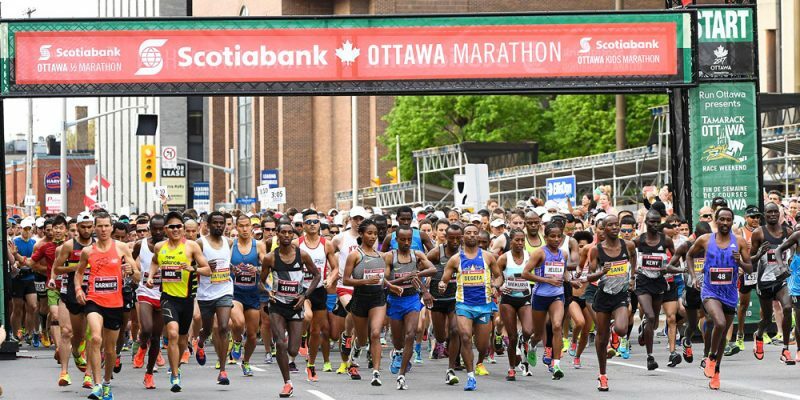 Welcome to Canada’s largest and fastest marathon: the Scotiabank Ottawa Marathon. As one of two IAAF Gold Label marathon events in Canada, the race attracts Canada’s largest marathon field (7,000 participants) as well as a world-class contingent of elite athletes every year. Featuring the beautiful scenery of Canada’s capital, the top-notch organization of an IAAF event, the atmosphere of hundreds of thousands of spectators, and a fast course perfect both for personal bests and first-timers, this is a world-class marathon that must be experienced. The Scotiabank Ottawa Marathon is also one of Canada’s largest Boston Qualifiers.